The bill would allow law enforcement or family to seek a court order to have guns seized if they believe the owner is a threat to themselves or others. DENVER (AP) — Colorado’s “red flag” gun law bill will now head to the state Senate after all but two House Democrats voted to pass it on Monday. The law is backed by many top law enforcement officials and would allow the seizure of weapons from persons deemed by a court to pose a significant risk to themselves or to others. Florida passed its own "red flag" law after the February 2017 Parkland school massacre, and 12 other states have done so. Colorado Republicans defeated a similar bill last year, insisting it infringed on citizens' Second Amendment rights. But Democrats won both statehouse chambers in November, and Democratic Gov. Jared Polis called for a "red flag" law while campaigning last year. States studied have varied from 1.07 seizures per 100,000 residents in California to 20 seizures per 100,000 residents in Maryland. At California’s lower rate of gun seizures, Colorado would see 57 seizures at year. At Maryland’s elevated rate, Colorado would be projected to have 1,141 seizures per year. The bill also would leave it up to the person whose guns were seized to prove at any point that he or she no longer poses a risk. Garnett said that person would be entitled to legal counsel. "This is the first step to move forward on a solution that is geared at trying to help people in crisis and confront the epidemic of gun violence that's had a significant impact on the state of Colorado," said House Majority Leader Alec Garnett, a co-sponsor along with first-term Rep. Tom Sullivan. Sullivan's son, Alex, was killed while celebrating his 27th birthday in the 2012 Aurora movie theater shooting. "Watching your child's body drop into the ground is as bad as it gets," Sullivan told a news conference last week. "And I'm going to do everything I can to make sure that none of you have to do that." A number of law enforcement officials support the effort, including Tony Spurlock, sheriff of suburban Douglas County, who lost a deputy in a New Year's Eve 2017 shooting by a suspect who was exhibiting increasingly erratic behavior. 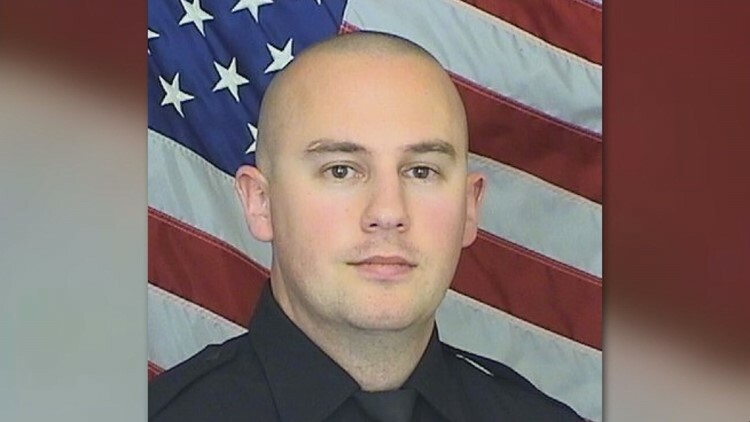 The bill is named after the deputy, Zackari Parrish. Boulder County Sheriff Joe Pelle also supports the bill. His son was wounded in the shooting that killed Parrish. "This is an issue that comes up constantly. We know who these folks are," Pelle testified. "We absolutely know when and how the time is right to use the courts to help us relieve the situation and make our communities — and our officers — safer." 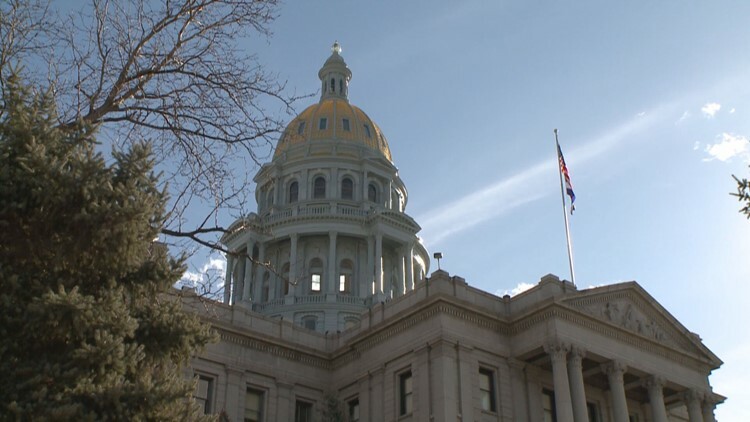 House Minority Leader Patrick Neville, a survivor of the 1999 Columbine High School massacre, says the bill would discourage citizens from seeking help because of the "stigma" associated with mental illness. "No one should feel they have to choose between their guns and getting the help they need," Neville said in a statement. "I'm saddened that our beautiful state is moving away from due process," said John Anderson, a retired commander of the Castle Rock Police Department and 20-year veteran of SWAT teams. The bill, he said, presumes that "the accused is guilty until proven innocent" and will create dangerous situations when officers try to confiscate firearms. "You have now singled out one class of citizens in Colorado, and that is gun owners. And you will be challenged in court," said Dudley Brown, executive director of the advocacy group Rocky Mountain Gun Owners. The bill is backed by numerous gun control groups, including one founded by former Arizona U.S. Rep. Gabby Giffords, who was severely wounded in 2011 shooting, and survivors of the 2012 Sandy Hook Elementary massacre in Newtown, Connecticut. Gun rights are a perennial issue at Colorado's Capitol. Lawmakers approved a ban on high-capacity magazines and added background checks for firearm transfers in 2013 following the Aurora and Sandy Hook shootings. Gun rights groups pushed successful recalls against two Democratic state senators who voted for the bills. The bill was approved in the Colorado House on a vote of 38-25 and will head to the state Senate next.